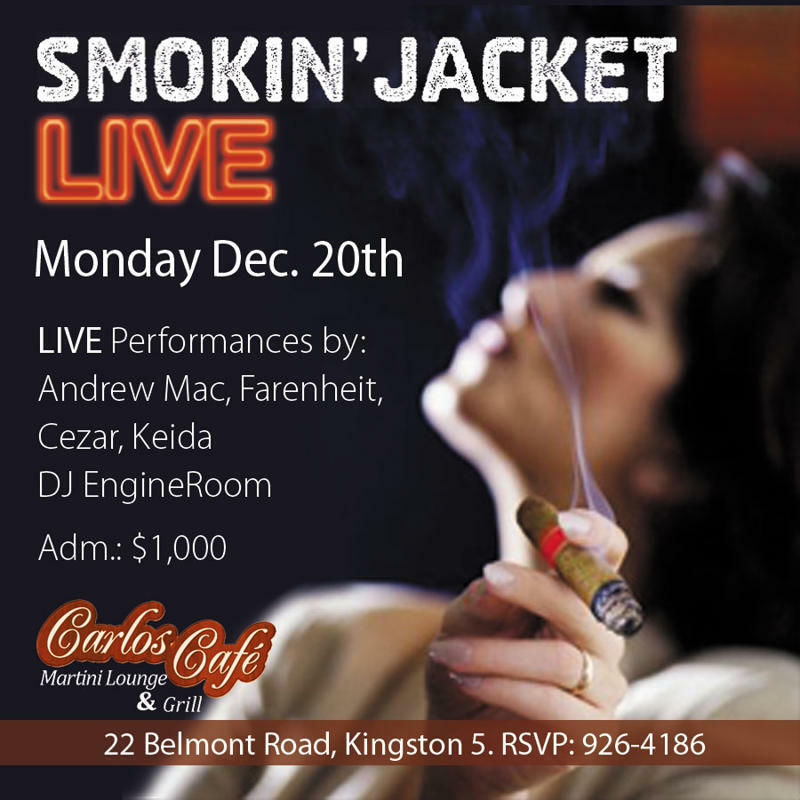 Smokin’ Jacket, Kingston’s plushest lounge party returns to Carlos Cafe on Monday, December 20. 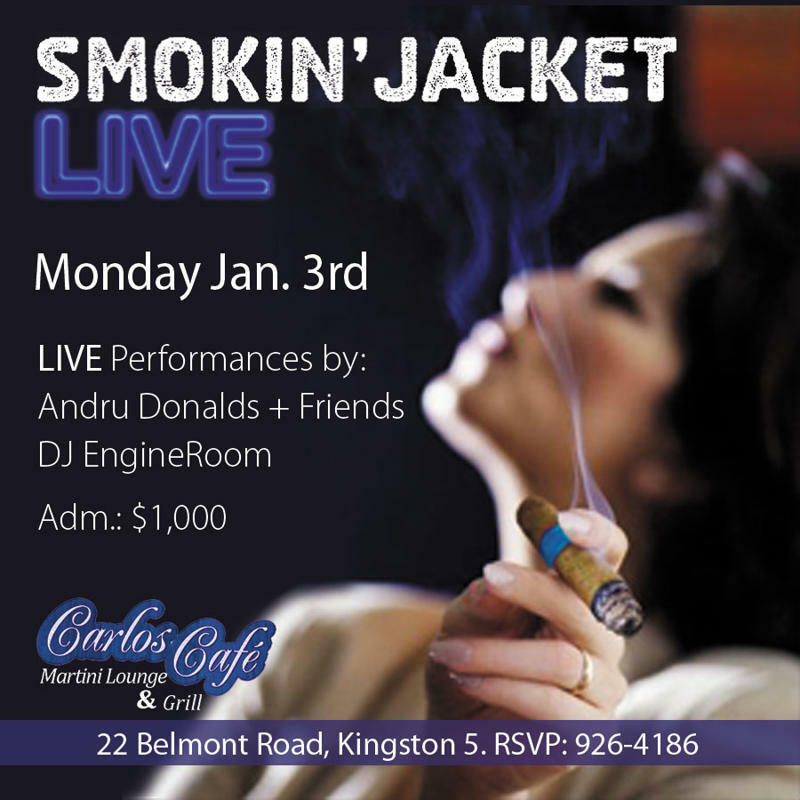 This time around Smokin’ Jacket features LIVE MUSIC with Andrew Mac, Farenheit, Cezar, Keida and friends PLUS eclectic selections by DJ Engineroom who’ll be playing house, dubstep, and other funky selections. Cost $1,000 with part proceeds going to charity.